Legislation Payroll is an online product that contains a library of pre-selected legislation, suited to your subject area. 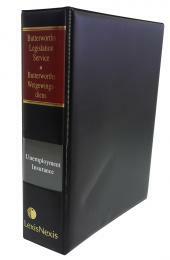 Where possible, all legislation packages include the following: Acts, Regulations, and wording of sections prior to amendment. Should more legislation be added to the selection by the publisher, the subscription price will not be increased as a direct result. Additional pre-selected libraries of legislation in other subject areas are available for purchase. Further Individual Acts and Regulations (each Act accompanied by its Regulations) may be purchased separately.